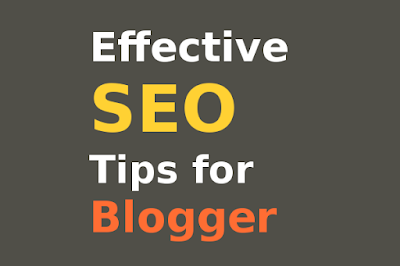 As a blogger the effective Search Engine Optimization (SEO) tips for your blog is the key to get more visitors and improve higher search engine ranking. As visitors and hitting pages return revenue, we must emphasize on its optimization. Now follow the instructions are given below about search engine optimization tips. This SEO strategy will increase better search engine ranking. How To Make Blogger/Blogspot SEO Friendly? 1. Make Responsive Web Design: Making Responsive Web Design for your blog or website is highly recommended by Google Search Engine, as lion share visitors are using different screen size devices such as Smart Phone, Tab, Laptop etc from the different region. You can check your website either Mobile-Friendly from Google. If it is not mobile friendly, make your website responsive according to Google instructions. 3. Keep Simple and Fresh Design: Don't make your website more colorful and exaggerative. Try to keep simple and fresh. Visitors feel comfort to read simple web pages. Don't forget to read: How to increase Blogger Organic Traffic Fast. 4. Auto SEO Friendly: Using meta tags you can make your blogger auto SEO friendly. Add meta tags to Blogger for Better SEO. Customization: replace compromath with your domain name. 6. Custom 404 page: Creating custom 404 page will return green signal from the search engine if any URL is not found or broken. 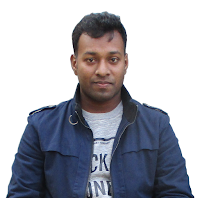 You can add the custom page with the redirection to homepage in Blogger from here. Create XML Sitemap free from here. It can take few while. 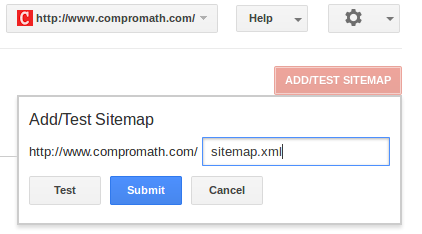 After creating XML Sitemap you have to submit to Google Webmaster Tool. If you don't create a Google Webmaster account for your Blog or Website, then create an account with your Gmail and add your domain to property. Go to your property (Example: www.compromath.com). After scrolling down you will get 'Sitemaps' option and click on. Click on 'ADD/TEST SITEMAP' and put sitemap.XML according to the following figure. Sitemaps (All content types)' option. Check '/sitemap.XML button and 'Resubmit'. 1. Enrich Contents of Blog or Website: Content of website or blog is the main reason to get more visitors. Because this is the actual purpose for that visitors look for. Rich content means rich visitor, rich hit. So don't stop enriching content. 2. Create Unique, Useful and Informative Article: Unique articles are the predefined condition to maintain search engine policy so that you can get organic visitors from search engine. Do not break any copyright for the content (Text, Images, Videos etc.) of your pages. Beside using unique content you should concern about useful, informative article that will help others. If the visitor gets help from your website then he/she will come again yet will bookmark, share your website link. 3. Avoid Grammatical, Spelling and Sentence Errors: Grammatical and Sentence errors decrease the quality of your content and cause of skipping website. Moreover, If you want to apply for Google Adsense, besides maintaining 2 number condition you have to concern about it. To prevent this you can get help from MS Office, Libre Office or Blogger Post editor for spelling errors. 4. Keep Article Effective, No longer and Use Easy Words: Keep your article between 400 to 500 words. Try to write in short. In this busy world, nobody wants to spend much time. They search for few minutes. And try to use the simple word. 5. Try to Attach Attractive and Relevant Image with Every Post: Attaching an attractive and relevant image with every post will bring more visitors and turn your article more lively. You can get help for free copyright images from Pixabay, Pexels etc. 6. Add Related Post Link within Post: Adding related post link within the post will increase the probability of visiting more time and more page what is helpful for better SEO ranking. 7. Remove Anchor of Image within Post: If it is possible, try to remove anchor of the inserted image within the post from 'HTML' format. 8. Image Title and Alternate: Putting image title and alt attribute is recommended for better search engine optimization. 9. Choose the Best and Most Related Keyword from Adword Planner: Before starting article you can plan and choose the keyword form Adword Planner. You can get help about what keywords are being searched higher. But avoid using excess keywords. Keyword density should be 1% of the total content (in the word). 10. Keep up Posting Continue: Readers are waiting for your post. So keep up posting continue. 1. Social Share and Visitor from Social Site: After publishing the post you need to share this through the social site like Facebook, Twitter, Google Plus etc. Backlink from social site increase search engine ranking for your website. You must add the social share button to your website so that others can share. You can share on Facebook, Google Plus directly. But it would be better to short URL before sharing through Twitter. You can short URL from bit.ly, goo.gl etc. Adding Pinterest button will give you more visitors from Pinterest. So add Pinterest button and pin every post after publishing. For the engaging visitor from the social site, you can create Facebook Group, Facebook Pages Google Plus Community, Twitter List and share most recent post URL. 2. Email Subscription: Collect visitors Email via email subscription and sent important and most recent post link through email. For Blogger user, you can get it from feed burner. 3. Response every comment and try to provide what visitors want from you and your website. 4. Put the actual and relevant comment on another blog or website. But don't Spam. Update with Search Engine (Google, Bing, Yandex etc.) to maintain their search and website rank policy. Obviously, it will be helpful by Google, Bing search engine ranking for your website or blog. Google analytics provides analysis about visitors, searching keyword, region etc. So sign in Google Analytics and analyze your website. According to Google Structured Data, you should remove Schema errors to keep up the higher search result of your website in different search engine. Structured Data Test from here. Follow the guidelines from Google. Recommended: How to use Google Search Console properly. Make your Blogger more SEO Friendly. Have got this article helpful or not working? Put your comment below. Thanks to hear you have found it helpful. Welcome Tamer Selim. Stay with COMPROMATH.